Elizabeth born circa 1660 who married Edward Harmes on November 30th, 1692 in the parish of Ayot St Lawrence, Hertfordshire. Jacob Flindell who married Sarah Pritchet on February 25th, 1733 in the parish of South Mimms, Middlesex. Sarah Flindell who married William Warren on September 12th, 1790 also in the parish of South Mimms, Middlesex. Elizabeth Flindell who married Joseph Mann on August 2nd, 1801. I have not been able to substantiate a connection with the War of the Roses nor has a sure link been established between the Flindells of Middlesex and Cornwall. However, the 1881 British census listed Jane Flindell (daughter of Thomas II and Mary), born in Truro, Cornwall in 1807, as living at 39 Regent St, London, Middlesex with Caroline Monypenny. Caroline is listed as a widow on a naval captain’s pension, born 1821 at St Pancras, Middlesex. I am the grandson of George and Mary Simpson. Mary Simpson was a Flindell – a sister of Shenston William Flindell who emigrated to Western Australia and lived in Fremantle. I understand that one of his descendants was sometime since in correspondence Mrs. Bate, and that in his letter he referred to a drawing of his Uncle John’s crest and coat of arms. In this letter he also says, “I don’t know how far it is true but I have heard Flindell was not his (Uncle John’s grandfather) original name. I am compiling a pedigree of the Flindell family and shall feel much obliged if you could supply me with a copy of the drawing of the “Coat of Arms” referred to, and any further information you may have gleaned. I may add tradition says that Thomas Flindell was outlawed from Scotland where he held a high position and changed his name. He married Alice Williams at Manaccan, Cornwall, May 26th 1793, and is described in the parish register as “a sojourner”. “Your Lordship will smile at the boast when I say the Scottish blood of my fathers may be traced to a height that would not have doffed a bonnet to a Dundas”. I am addressing this letter in a way, which I hope may reach some member of the Shenston Flindell family. PS. I suppose you know the name Shenston came from the poet Shenston, the second Thomas Flindell of Truro and Exeter having married a niece of the poet named Mary Brunton from Halesowen, where the poet lived. Florence Charlotte Vagg (nee Flindell) (1895 – 1978), was told by her father Francis Richard Flindell (1863 – 1915); son of Richard Brunton Flindell (1838 – 1883) that the original name of the family was “Flinders” and this was changed to Flindell, as there was a price on the head of those who assisted Prince Charles to escape to France. As the story goes, they hid in a hollow or small valley otherwise known as a dell, therefore Flindell. That his youngest son Thomas II was jailed for libel to Queen (Amelia Elizabeth) Caroline of Brandenburg-Ansbach, wife of King George II, who like his father was more German than British, a soldier and a Whig; could be considered to add weight to there being a connection. Family legend has it that a Thomas Flinder – or Flindal – there are two versions – a staunch Royalist committed to Prince Charles’ cause in Scotland was the founder of my mother’s family. After the defeat of the Royalists at the Battle of Culloden, Thomas Flinder (Flindal) helped in the escape of Prince Charles to France. He himself, after a time of expedient exile abroad, and unable to return to his native Scotland for the price still on his head, crossed to the south of England, where he spent a precarious time evading the authorities, hiding in caves, coves and dells. He was influenced to change his name to Flindell, so the story goes, because of the long period spent hiding out in a dell. It has been Flindell ever since. Eventually, the troubles easing, life became more ordered and by the time his son had a son named Thomas, the family was respected and reasonably prosperous in the south of England and remains so to this day. Francy continued with her mother’s story noting that Thomas Flindell II was owner of the “Cornwall Gazette” and that his son Francis Bassett Shenstone Flindell founded the “Western Luminary”. This was not so. Thomas II founded the “Western Luminary” but in January 1846 his son took over the “Bridgewater Times” in Somerset and renamed it “The Bridgewater Times and Somerset County Chronicle”. Mr. H.L. (Les) Douch, curator of the Devon County Museum, provided insight into Thomas that led to fruitful research in February 1974. Mr. Douch was not convinced Thomas came from Scotland. He felt it equally likely that the origin of the family was the Channel Islands and Thomas entered England in the risky trade of beating the Customs men. Brandy smuggling was a lucrative venture at that time. It is of interest that Alice, the youngest daughter of Thomas and Alice married Patrick Reilly, a mariner known to have been involved in smuggling. It is also interesting that in the History of Cornwall (page 325); Thomas II described himself as being “bred an illiterate half-seaman”. Could this reflect his childhood as the son of a victualler, possibly to ships? Could it indicate he was sent to sea as a boy? Could this be further evidence of a smuggling connection as suggested to me by Mr. Douch? One could argue that the weight of a number of tenuous, but supporting links provides more substantial evidence. Why did Thomas I choose to settle in Cornwall? Scotland, Ireland, Isle of Man, Wales and Cornwall were and remain proudly Celtic. A strong Celtic connection could be considered. Cornwall was also a pre-eminent base for smuggling therefore Mr. Les Douch could be correct in suggesting Thomas I was in the business of beating the Customs men. Mr. Douch also thought that Thomas I ran a school in Lemon Street, Truro. This has not been validated and, I suspect, there could be confusion with Thomas II who was known to have a newspaper and press in Lemon Street (1803-1812). Flindell is certainly a place name, although the place that gives rise to it cannot be identified. The name means literally the “well where flints were found”, and the “well” was in all probability the shaft or mine where flint was dug. The men who worked at such a spot, or who lived nearby, would be known as “ate” or “of” Flindell, and in time the place name quite naturally passed into a surname for these men and their descendants. W. & A. GILBEY LIMITED. There is divergence between the family legend as told by George Simpson and that by Francy DeGrys, but both suggest it was the grandfather of Thomas II who claimed the name Flindell. George recounts he died in “defence of the Protestant succession against the Popish despotism of the besotted Stewarts”. Francy states the grandfather of Thomas II sought exile and subsequently became a respected member of Cornish society. If there is substance in the story as told to them there is a Thomas pre-dating Thomas I who married Alice Williams at Manaccan. The origin of the name or any connection to the Battle of Culloden probably could not be validated particularly as stated above, the Flindell name existed prior to this. Flindell participation in the War of the Roses and the Battle of Culloden are not mutually exclusive, but a connection to the War of the Roses would be even more difficult to substantiate. The more one grasps at scenarios the more difficult it is to reach the truth. Perhaps it is best to leave Thomas I, the first known in my lineage, as a mysterious and private man. Source: Rootsweb.com – Family Search. Batch C072861, dates 1558 – 1846, source Call No 0991322, Printout Call No 6902607. George Simpson was the printer of the Salisbury Gazette. On June 14th, 1816, he married Mary Flindell, eldest daughter of Thomas II and Mary Flindell (nee Brunton). 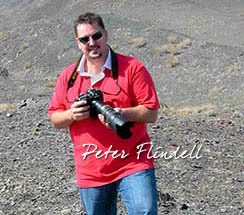 This was Frances Bassett Shenstone Flindell who arrived in WA with his family per the Nile on January 1st. 1858. There is no evidence of a crest or coat of arms, but he could be confusing this with the printers’ block from the masthead of the Western Luminary. This John may be the first child of Thomas and Alice Flindell (nee Williams). Other sources have speculated that the father of Thomas I, and not Thomas himself, supported with Bonnie Prince Charlie. Thomas married Alice Williams at Manaccan on December 10, 1757. Their issue were born between 1759 and 1773. This implies it was Thomas I who fought in Scotland. He would have been too young as he was born about 1735. This implies it was not Thomas I (footnote 8), but his father. Dundas was a high-ranking Scottish Clan chief.